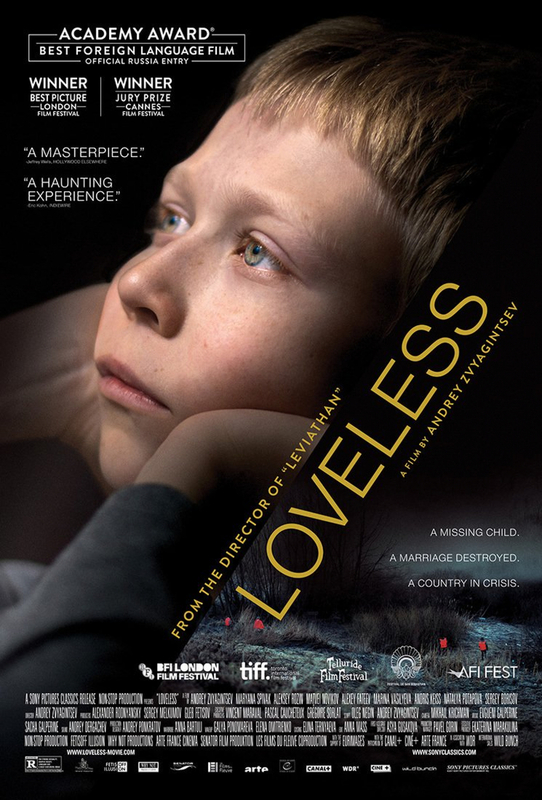 Loveless Blu-ray release date was set for June 12, 2018 and available on Digital HD from Amazon Video and iTunes on June 12, 2018. Zhenya and Boris are a couple who are going through an extremely bitter divorce. Although they've since gotten other partners, the two can't resist one final attempt to leave the past behind them. Their 12-year-old son Alyosha becomes incriminated in their arguments, to the point that his parents threaten to abandon him. However, Alyosha proves to have his own agenda in the midst of the ugliness. After seeing a particularly nasty argument between Zhenya and Boris, Alyosha simply disappears.